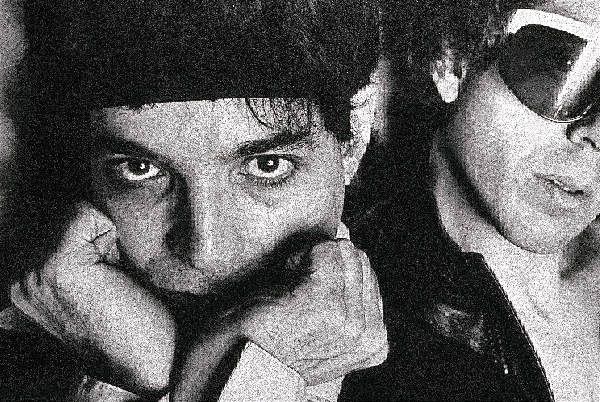 Suicide, the seminally important and confrontational duo consisting of vocalist Alan Vega and electronic musician Martin Rev, formed in 1970 and have been active intermittently since that time. Marty Thau, founder of Red Star Records and former manager of the New York Dolls, co-produced Suicide’s self-titled debut album, and accompanied the band on their first European tour. A few months after the release of Suicide’s debut album, I received a telegram from the promoters of the 3rd International Science Fiction Festival to be held in Metz, France, in late May ’78. They asked if the duo would be interested in appearing as the Festival’s sole musical attraction. All their expenses would be paid, plus they would receive a minimal fee and co-headline with keynote speaker Frank Herbert, author of the science fiction novel Dune. It was a timely offer because John Peel, then England’s leading underground DJ, and the British weeklies Time Out, NME, Melody Maker and Sounds, were praising the album enthusiastically. Not only that, but the engagement would bring Red Star’s masterful prodigies overseas at a minimal expense. I passed the information on to Bronze Records, Red Star’s London-based European distributor, and they helped spread the news that Suicide were coming to Europe. Shortly afterward, the duo were booked to open for Elvis Costello on his first tour of Europe, and for a series of thirty shows opening for the Clash that would take Suicide through the whole of England. We couldn’t have asked for better exposure, because Costello and the Clash were both sizzling hot and major Suicide fans. 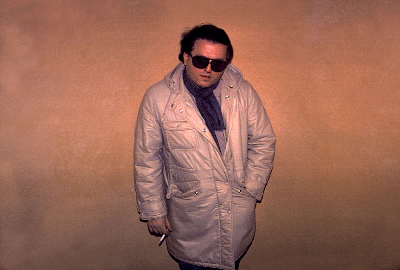 Suicide’s tour with Costello carved a swath through the continent and kicked off in Brussels at the Anciennes Belgique Theatre on June 16, 1978. Audience reactions were unlike anything seen before in Europe. 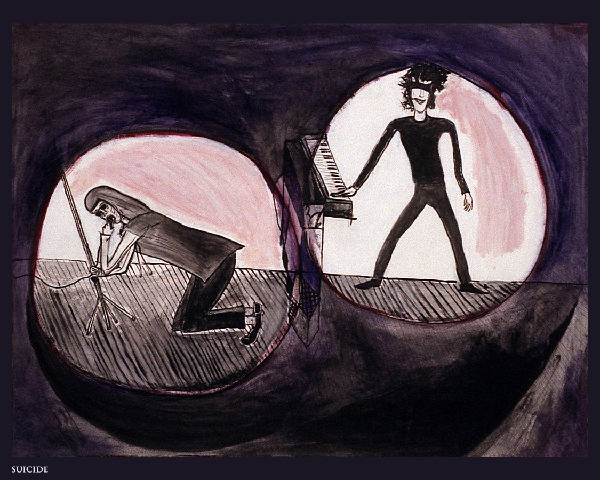 On any given night, in any venue in any town, anything not nailed down would inevitably come flying through the air in Suicide’s general direction. In Glasgow, Scotland, an axe was actually thrown at Vega and barely missed hitting him. Cocky, wired and adrenalized, Vega didn’t take long to alienate the crowd. You could sense the confusion resonating through the audience, who had come to see Elvis Costello but were being subjected to the full impact of Suicide’s hypnotic down-and-dirty culture shock. Vega chose to ignore the shouts of attendees who had never experienced such a strange, guitar-free outfit before, which is why he was caught off-guard when a belligerent audience member jumped onstage and, to the cheers of the bewildered, ripped the microphone out of his hands. Half the audience started to chant what sounded like garbled Belgian farm anthems, while the other half applauded Suicide’s irrepressible passion. As was the case with the New York Dolls, it was obvious you either embraced Suicide wholeheartedly or loathed them vehemently. There was no in-between. This hate/love reaction was undeniably mystifying but in time would inspire many forceful disagreements and debates in the rock press. After Suicide’s surreal performance, our New York contingent was told that a still-provoked audience had attacked the stage before Costello could even begin his set. The riot gendarmes had been called and soon the irritating odor of tear gas filled the auditorium. We didn’t need any more incentives to vacate the premises. Alan, Rev, Roy Trakin, Red Star’s Minister of Information, Miriam and I ran down a corridor adjacent to the stage to a side exit leading to an alleyway, where we piled into a vehicle waiting for us and sped out of there as fast as we could. That night, Suicide got a taste of what they would be forced to endure on upcoming dates with Costello and the Clash. Howard Thompson, who had been assigned to chaperone the duo throughout the tour, recorded their Brussels appearance on his Sony cassette player for his label. The recording soon became an official vinyl bootleg which NME readers could order for free from Bronze Records. The performance/riot, given the name “23 Minutes Over Brussels” by Roy Trakin and often touted as Suicide’s “Metallic KO,” was also included in the Mute reissue of Suicide’s debut LP in 1998 and has since become a coveted collector’s item. In Paris, Suicide delivered a sizzling twenty-minute set, the climax of which involved Vega’s taunting the French for the distinctive body odor and hirsute armpits of their whores. By the end of the tour, Vega was offering German fans his perspective on their supposed racist and anti-Semitic neo-Nazi tendencies. The very next day, Suicide flew to England to join the Clash tour in Leicester at Granby Hall. At the Music Machine shows in London’s Camden Town, Clash fans drenched Vega and his newly cleaned purple suit with a rain of spit when he hit the stage and moved toward the solitary center microphone. As the opening strains of “Ghost Rider” filled the venue, the outpouring increased with a relentless barrage of coins, bottles, and whatever else the audience could lay their hands on. But despite Vega’s pleasure at being on the receiving end of hostile provocation, on the night of that fourth sold-out show at the Music Machine in London, he and Rev finally won over the audience and received an ovation and call for an encore. Expecting to laugh and snicker at the expense of two primal weirdos, the audience was surprised by the level of active involvement which Suicide’s presentation fed them. Accustomed to dealing with tentative, uncertain audiences, the band seemed to grow more dominant visibly and, as one song pounded into another, began to turn the corner. The audience was being told to make use of their dormant imaginations. In Blackburn, the local police were hoping to arrest the Clash for drug possession, but the support crew were too clever to be compromised by the over-confident gendarmes and were alert to such obvious maneuvers. When the police finally realized they weren’t going to garner any national headlines arresting the Clash, they shifted their attention to Suicide. Turning up a small amount of what they believed to be a hash-like substance in Rev’s personal belongings, they arrested the duo on suspicion of drug possession, but the charges were dismissed in court after tests showed the substance was a seasoning. It seems that Rev had tried to purchase a small amount of pot in Amsterdam, but the dealer had ripped him off and sold him oregano! Howard Thompson, testifying as a character witness, described Suicide’s artistic importance and portrayed them as choirboys. Fortunately, the judge accepted his earnest spiel and the fine of a mere 400 pounds was levied against Suicide, which was paid subsequently by Bronze’s London office. As if that wasn’t enough, Suicide came under attack from the punk establishment in the form of Johnny Lydon, who opined in the New Musical Express that Suicide’s single, “Cheree,” was like “Je t’aime . . . moi non plus” with tape hiss. The entire series of shows with Suicide supporting the Clash are now regarded as nigh-mythical events which brought about some of the most extreme abuse any music group has ever suffered. It also spawned a legion of admirers who then formed their own bands after witnessing the power of Red Star’s dynamic duo. Primal Scream’s Bobby Gillespie, in attendance at more than one of the shows, has called Suicide “one of the greatest rock & roll bands ever,” while pop giants Bono, Bruce Springsteen, Michael Stipe, Ric Ocasek and Depeche Mode have publicly concurred. By the end of the Clash tour, Suicide had won over enough fans to headline their own sold-out show at London’s historic Marquee Club, where the audience demanded an unexpected and rare encore. A triumphant Berlin headlining appearance closed out the campaign, and thus was born the Suicide cult that continues to thrive to this day. Ha! Great story! Halcyon days. Great posting! I saw them at the Torquay Townhall on that tour. ( I was 16 and attending an english summer course.) Alan sure didn’t like all the spitting! I remember seeing them in a loft apartment on Houston and 1st Avenue around 1982 one spring afternoon. It as a very small performance, perhaps 15 – 20 people tops.